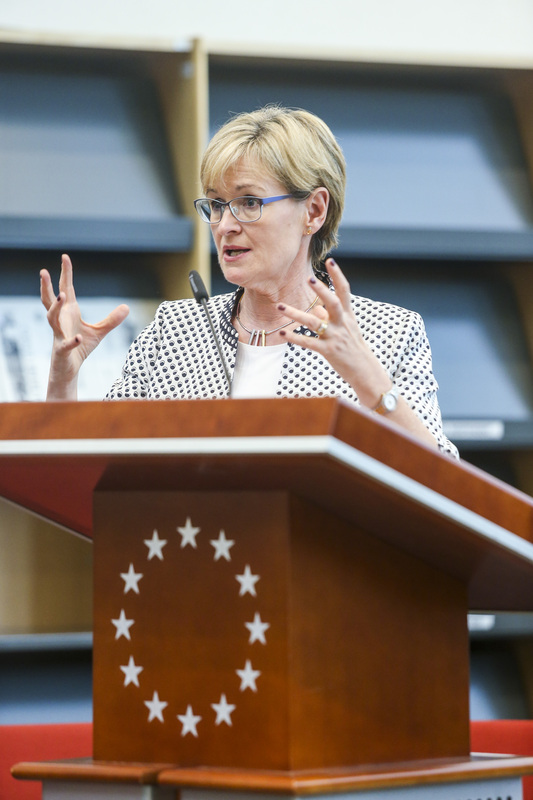 In the opening remarks of the roundtable discussion on the European elections: past and future, held in the Brussels Library Reading Room, Vice-President of the European Parliament Mairead McGuinness touched on the fact that citizens wanted a better definition of what was meant by ‘more Europe’. In fact, often what was stressed, is the need for a ‘better Europe’. Citizens often did not differentiate between the various EU institutions (Council, European Parliament or Commission) and did not need to know all the finer details of how they work, as they did not necessarily need to know the working of a car engine. Citizens rather judged governments by their effectiveness and results. Citizens do turn to the EU when there is a problem, and Vice-President McGuinness cited the European Parliament 2006/7 Equitable Life Temporary Committee of Inquiry that had contributed to the reimbursement of some policy holders where the national authorities had failed to do so. Finally, Mrs McGuinness underlined that the challenge for the political centre as the more extreme politics offered ‘absolute solutions’ in particular with the rise of social media. European Parliament Vice-President Sylvie Guillaume underlined that fall in the state of trust in the EU in recent years from 48 % in 2007 before the economic crisis to only one third today. Vice-President Guillaume highlighted the impact of the economic and financial crisis as a major factor in this decline. The biggest decline in trust was from the countries most affected by the economic and financial crisis. A similar decline could be noted in the trust in the European Parliament falling from 57 % in 2004 to 40% today. Lack of information on the activities and Members of the European Parliament were two of the key reasons cited for this decline. Citizens were most concerned with the fight against unemployment and the impact of immigration. Nevertheless, citizens broadly wanted action at the EU level to tackle these two major issues. Professor Hermann Schmitt, Professor in Electoral Politics at the Universities of Manchester and Mannheim, highlighted the work of the European Elections Studies Survey and its work since the first direct European elections in 1979. He highlighted the analysis of democracy at the European level including the study of party manifestos, media and social media. Professor Wouter van der Brug, Professor of Political Science at the University of Amsterdam, concentrated his remarks on Euro-scepticism highlighting the classical horseshoe shape of support for European integration with the greatest criticism on the far left and far right and the greatest support for integration in the centre. Professor van der Burg explained that Euro-scepticism was nuanced and voters on the far left and far right criticised the EU for different reasons. On the left primarily due to socio-economic reasons whereas on the far right more socio-culturally motivated and more principally opposed to European unification. 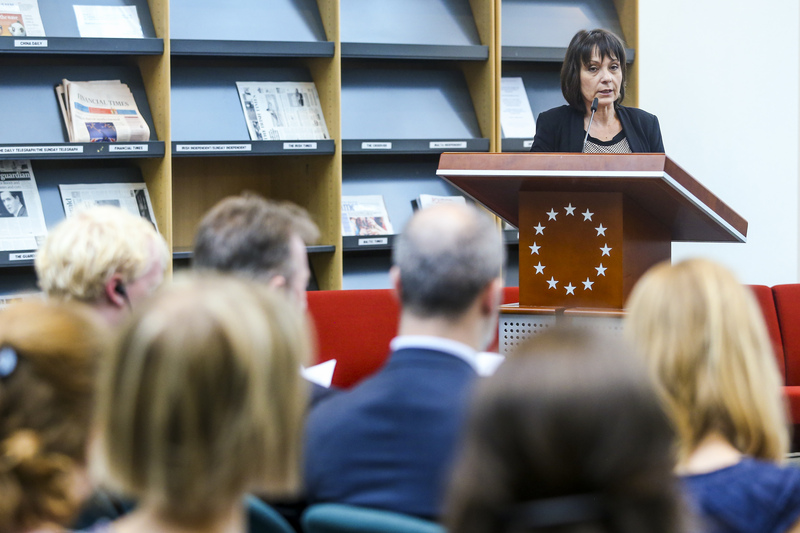 It was therefore important unpack EU-support into relevant sub-dimensions. Dr Sebastian Popa research fellow of the Mannheim Centre for European Social Research (MZES), underlined voting for Eurosceptic parties on the left and on the right is fuelled by different concerns. Anti-immigration attitudes only fuel the vote for right-wing Eurosceptic parties. Euro scepticism motivates the vote for both variants of Eurosceptic parties, left and right, but voting for left-wing Eurosceptic parties is driven by criticism about the current EU Vote, for right-wing Eurosceptic parties it is driven by opposition to EU integration altogether. Poor socio-economic conditions and negative government evaluations fuel the vote for left-wing Eurosceptic parties. Jacques Nancy, Head of the Public Opinion Monitoring Unit, European Parliament DG Communication, highlighted the cooperation with Professor Schmitt analysing the European elections allowing for broader conclusions and recommendations. He also highlighted in the UK referendum the classical left-right cleavage was being challenged.